Pleasant Parker was born on 30 August 1826 at Laurel, Kentucky. He married Anna M. Mills on 14 February 1846 at Wayne, Indiana. Pleasant Parker married Anna Elizabeth Joy on 30 April 1856 at Dallas, Iowa. Pleasant Parker died on 2 April 1908 at Redfield, Dallas, Iowa, at age 81. Russell Gilbert Batson married Fannie E. Terrell. Married Name Her married name was Batson. Fannie E. Terrell married Russell Gilbert Batson. Amos Clifford married Lois Fox. Amos Clifford was born circa 1783 at New Hampshire. He died on 7 June 1860 77y 26d. He was buried after 7 June 1860 at Oak Hill Cemetery Records, Lewistown Township, Lewistown Township, Fulton, Illinois, Sec A. They lived in Salem Township [later Conneaut], Ashtabula Co., OH, until moving to Fulton Co., IL, in the mid-1830s. Married Name Her married name was Clifford. Lois Fox married Amos Clifford. Lois Fox was born circa 1799 at New Hampshire. She died on 22 December 1842 43y, 10m, 27d. She was buried after 22 December 1842 at Oak Hill Cemetery Records, Lewistown Township, Lewistown Township, Fulton, Illinois, Sec A. [S186] Illinois, Illinois Statewide Marriage Index, Book 00D, p. 0041, License #00000140. [S186] Illinois, Illinois Statewide Marriage Index, Book 00D, p. 0175, License #00000060. [S186] Illinois, Illinois Statewide Marriage Index, Book 00E, p. 0004, License #00000074. Catherine (?) was born in November 1830 at Germany. [S245] U.S. Federal Census 1900 U.S. Federal Census, by Ancestry.com, ED55. Dwelling 146. Elizabeth Klein was born in September 1892 at Wisconsin. She was the daughter of Leonard Klein and Elizabeth Kessenich. Henry Klein was born in December 1893 at Wisconsin. He was the son of Leonard Klein and Elizabeth Kessenich. Joseph Klein was born in January 1896 at Wisconsin. Julia Aspel was born in October 1888 at Wisconsin. She was the daughter of James Aspel and Gertrude Kessenich. [S245] U.S. Federal Census 1900 U.S. Federal Census, by Ancestry.com, ED115. Dwelling 74. Annie H. Aspel was born in June 1882 at Wisconsin. William Keegan was born circa 1915 at Wisconsin. He was the son of John L. Keegan and Clara M. Aspel. Lorraine Kathleen Keegan was born on 16 November 1918 at Wisconsin. She was the daughter of John L. Keegan and Clara M. Aspel. Lorraine Kathleen Keegan died on 15 June 2003 at age 84. Donald Keegan was born circa 1921 at Wisconsin. Married Name Her married name was McCarthy. Eulalie Keegan was born on 12 May 1916 at Wisconsin. Eulalie Keegan died on 5 June 1996 at age 80. Kathleen Aspel was the daughter of John P. Aspel and Mary C. Biser. Margaret Aspel was the daughter of John P. Aspel and Mary C. Biser. James Aspel was the son of John P. Aspel and Mary C. Biser. Married Name Her married name was Magli. Clara Ann Limmex married Daniel A. Magli, son of Daniel John Magli and Genevieve M. Grell. Clara Ann Limmex was born on 12 August 1934. She was the daughter of Jerome James Limmex and Marie Anna Kessenich. Clara Ann Limmex died on 15 May 2008 at age 73. She was buried after 15 May 2008 at Saint John the Evangelist Catholic Cemetery, Spring Green, Sauk, Wisconsin. 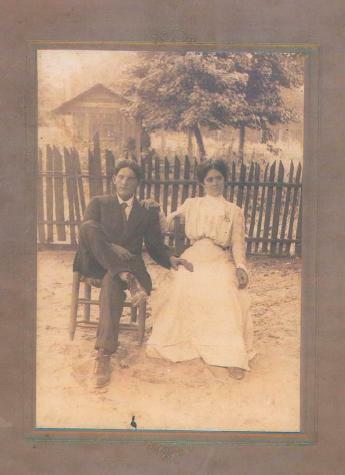 Daniel A. Magli married Clara Ann Limmex, daughter of Jerome James Limmex and Marie Anna Kessenich. Daniel A. Magli was born on 23 June 1929 at Wisconsin. He was the son of Daniel John Magli and Genevieve M. Grell. Daniel A. Magli died on 19 October 1993 at age 64. He was buried after 19 October 1993 at Saint John the Evangelist Catholic Cemetery, Spring Green, Sauk, Wisconsin. Daniel A. Magli obtained US Social Security Card at Wisconsin; last residence Madison, Dane, Wisconsin. [S250] U.S. Federal Census 1930 U.S. Federal Census, by Ancestry.com, ED9. Dwelling 151. [S373] U.S. Federal Census 1940 U.S. Federal Census, by Ancestry.com, Year: 1940; Census Place: Ithaca, Richland, Wisconsin; Roll: T627_4518; Page: 6B; Enumeration District: 52-9. Married Name Her married name was Hutter. Judine M. Limmex was born on 23 June 1940. Judine M. Limmex died on 28 December 2014 at age 74 Judine M. Hutter of Spring Green took the hand of the Lord on Sunday, December 28, 2014 and he took her home to His heavenly kingdom. She was born in Iowa County the daughter of Jerome and Marie (Kessenich) Limmex. She married her one true love, William F. Hutter and together they farmed and raised their family. Judine was active in the community and St. John’s Catholic Church. Judine loved to travel with her husband, Bill and together they saw many wonderful sights of the world. She will always be remembered for her kind and compassionate heart, always making friends wherever she went. We are all very blessed to have known her. Judine is survived by her husband of over 50 years, William Hutter of Spring Green, 3 children, Barb (Kerry) Henning of Kiel, WI, Mary Beth Hutter of Nashville, TN, Will (Tracie) Hutter of Spring Green, 5 grandchildren, Zachary, Leah and Michelle Henning, Kristen (Kellen) Smead and Kara Hutter, a sister, Rose Marie Luther of Spring Green, many cousins, nieces, nephews, other relatives and friends. She was preceded in death by a son, Marcus Hutter, her parents, Jerome and Marie Limmex, a brother, Jerry Limmex and a sister, Clara Magli. A Mass of Christian Burial will be held on Friday, January 2, 2015 at 11:00 A.M. at St. John’s Catholic Church in Spring Green. Fr. Mike Resop will officiate with burial in the church cemetery at 1:30 P.M. Visitation will be held on Thursday, January 1, 2015 at St. John’s Catholic Church from 4:00 P.M.-7:00 P.M. and again on Friday from 10:00 A.M. until the time of Mass. The family would like to thank Dr. Thomas Richardson, the staff at the Richland Hospital and the staff at Greenway Manor Nursing Home for the wonderful care they provided. “We love you to the moon and back”. In lieu of flowers memorial funds are being set up. The Richardson-Stafford Funeral Home in Spring Green is assisting the family with the arrangements. Jerome L. Limmex was born on 5 February 1945. He was the son of Jerome James Limmex and Marie Anna Kessenich. Jerome L. Limmex died on 9 February 2005 at age 60. Jerome L. Limmex obtained US Social Security Card at Wisconsin; last residence Warrens, Monroe, Wisconsin. Name Variation Eugene Richard Metz was also known as Gene. Eugene Richard Metz was born on 29 October 1900 at Dane, Wisconsin. 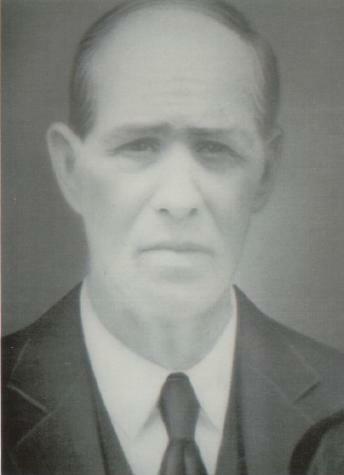 He was the son of Joseph L. Metz and Mary Helena Post. Eugene Richard Metz married Camilla Ann McCarville, daughter of Francis McCarville and Julia Farley, on 30 November 1922. Eugene Richard Metz died in February 1972 at age 71 also reported as 2 Mar 1972. Eugene Richard Metz obtained US Social Security Card at Wisconsin; listed as "P."; last residence Madison, Dane, Wisconsin. [S243] U.S. Federal Census 1920 U.S. Federal Census, by Ancestry.com, ED38. Dwelling 106. [S250] U.S. Federal Census 1930 U.S. Federal Census, by Ancestry.com, ED13-90. Dwelling 434. [S373] U.S. Federal Census 1940 U.S. Federal Census, by Ancestry.com, Year: 1940; Census Place: Madison, Dane, Wisconsin; Roll: T627_4470; Page: 5B; Enumeration District: 13-63A. James Reid Metz Sr. was born on 28 August 1928 at Wisconsin. He was the son of Eugene Richard Metz and Camilla Ann McCarville. James Reid Metz Sr. died on 25 March 2009 at California at age 80 James Reid Metz Sr. passed away on Wednesday, March 25, 2009, in Santa Rosa, Calif. He was born in Madison on Aug. 28, 1928, to parents Gene and Camilla Metz (McCarville). He is survived by his wife of 58 years, Marian L. Reily Metz; his children, Jim Metz Jr., Tommy Metz, Bonnie Buckingham, Cathy Pearson, Danny Metz (Leslie) and Nancy Conolley. He will be missed. Joseph L. Metz was born on 20 January 1869 at Germany. He married Mary Helena Post on 27 June 1899 at Madison, Dane, Wisconsin. Joseph L. Metz died on 30 July 1965 at age 96. Name Variation Mary Helena Post was also known as Elina. Name Variation Mary Helena Post was also known as Helena. Married Name 27 June 1899 As of 27 June 1899,her married name was Metz. Mary Helena Post was born on 6 March 1872 at Perry, Dane, Wisconsin. She married Joseph L. Metz on 27 June 1899 at Madison, Dane, Wisconsin. Mary Helena Post died on 2 May 1955 at age 83. Name Variation David Jefferson Childs was also known as Childes. Name Variation David Jefferson Childs was also known as D. J. Name Variation David Jefferson Childs was also known as Dave. David Jefferson Childs was born on 15 June 1846 at Arkansas also reported as Jun 1847. He married Mary Ellen Welch circa 1870. 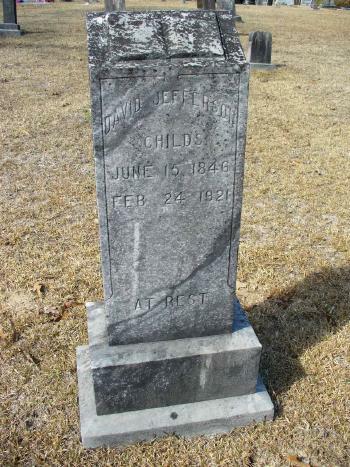 David Jefferson Childs died on 24 February 1921 at age 74. He was buried after 24 February 1921 at Friendship Methodist Cemetery, Union, Arkansas. David Jefferson Childs and Mary Ellen Welch young photo Union Co, AR. [S245] U.S. Federal Census 1900 U.S. Federal Census, by Ancestry.com, ED131. Dwelling 67. [S244] U.S. Federal Census 1910 U.S. Federal Census, by Ancestry.com, ED139. Dwelling 146. [S243] U.S. Federal Census 1920 U.S. Federal Census, by Ancestry.com, ED174. Dwelling 42.